TTT #23 - Social Reading...It's a Thing! What a lovely day it is today…..NOT!!! We are snowed in, but we aren’t the only ones. Pretty much the entire Northeastern part of America, we just happen to live in the Southern most tip of this blizzard. So what should I do with my free time….READ….and make lists 😀 That’s right, it’s Tuesday. Today’s topic is “Top Ten Books I’d Love to Read With My Book Club.” Well….I don’t have a book club, but if I did all we would read is young adult dystopian fiction. Why? Because it’s the best ever!!! The Hunger Games by Suzanne Collins – Duh…do I even need a reason to have this book on this list?! It’s only one of the best pieces of young adult dystopian lit this millennia! Ok, maybe I’m being a little over zealous, but it is an amazing book and one of my all time favorite reads. 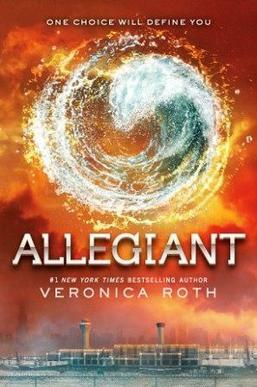 Allegiant by Veronica Roth – I feel like this book doesn’t get the love it deserves. Yes it’s the last in a really good trilogy and yes the ending shocked many and broke many hearts, but it’s just so…real! (I think that’s the word I’m looking for.) No one has done what this author does in this book, at least not that I’ve read. And while I initially wanted to chuck the book in the garbage and scream and cry in a corner, I’m happy with the ending. It shows what realistically could happen…. 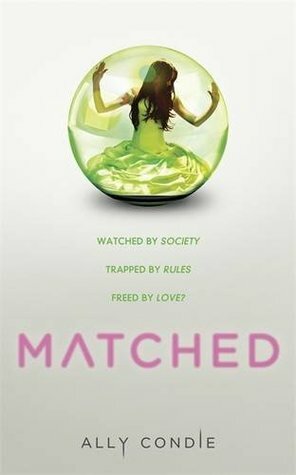 The Matched Trilogy by Ally Condie – This series is what started my dystopian obsession. I read it and loved it before Hunger Games, before Divergent. I love it’s concept, where the government tells you who you will marry based only on your genetics, the uprising that follows, and for once I didn’t even mind the love triangle. The Legacy by Melissa Delport – This book is hands down my favorite read from 2014, and not enough people have read it in my humble opinion 😉 Think Hunger Games meets Divergent but darker and written for the New Adult crowd (it’s not erotica, not even close!). The first lines of this book hooked me, painting the horrific scene of WWIII and the decimation of America in its wake. Haven’t read it….Go Do It NOW!!!! The Selection by Kiera Cass – Here’s another book I haven’t read yet, but I do own. I really want to read this one, but for some reason just haven’t found the time. Tell me people, is it as good as everyone says it is? I’m leery to read it because of the hype surrounding it. Also I know this isn’t really a dystopian…or at least I don’t think it is. Cinder by Marissa Meyer – Ah-MAZE-ing!!! I cannot believe I put off reading this book til just a few weeks ago. It has to be one of my new favorites. Cinderella as a cyborg….human colony on the moon….plague killing off the humans on earth….yes it is fantastic!!! The Moon Dwellers by David Estes – Another favorite author that makes this list complete 😀 The Dwellers saga is an amazing find that I discovered by chance last year when I received a boxset for review (still making my way through it too). It’s about a society that has gone underground to live when a meteor crashes to earth, leaving it uninhabitable above ground. So thousands of miles below the surface sits three colonies and they are on the brink of civil war. Awesome series! I still have two books before I complete it and I can’t wait! What books would you read with your book club? Personally I’m a bit anti-social, my husband says it’s because I’m an only child, so I’ve never been in a book club. I think it would be fun though to hear other perspectives on my beloved books. I also don’t feel like The Selection is very dystopian. I do think you’ve picked some great reads and would inspire a lot of interesting conversations! ChrissiReads recently posted…Top Ten Books I’d Encourage My (imaginary) Book Club To Read! I agree about The Legacy. I got asked to be a part of the book tour, and really loved the book. With Allegiant, I was annoyed about the ending but not for the obvious reason. The Moon Dwellers is a great read. I’ve read all of them and part of the sister series. David Estes has quickly become a favorite author of mine! If you like dystopian these are my favorites 😀 Hope you enjoy them! I haven’t read any of these except for Hunger Games which I actually read for a book club! The Selection, Cinder and The Winner’s Curse are all on my TBR. They all look great! Cinder was amazing!! I’m not sure why I put it off as long as I did! Sorry your snowed in! Bleh, winter. 🙁 The Lunar Chronicles would be a great series to read with a group of people. Great list!